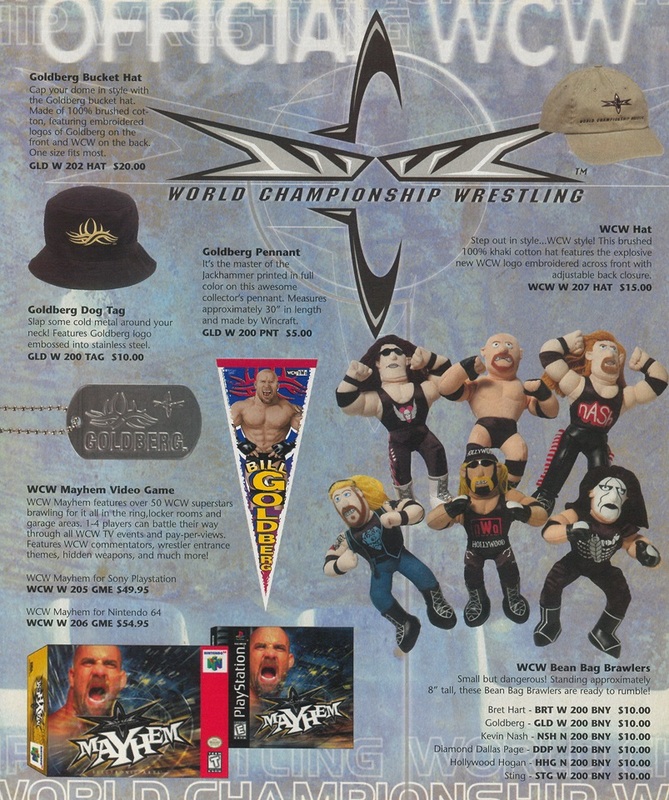 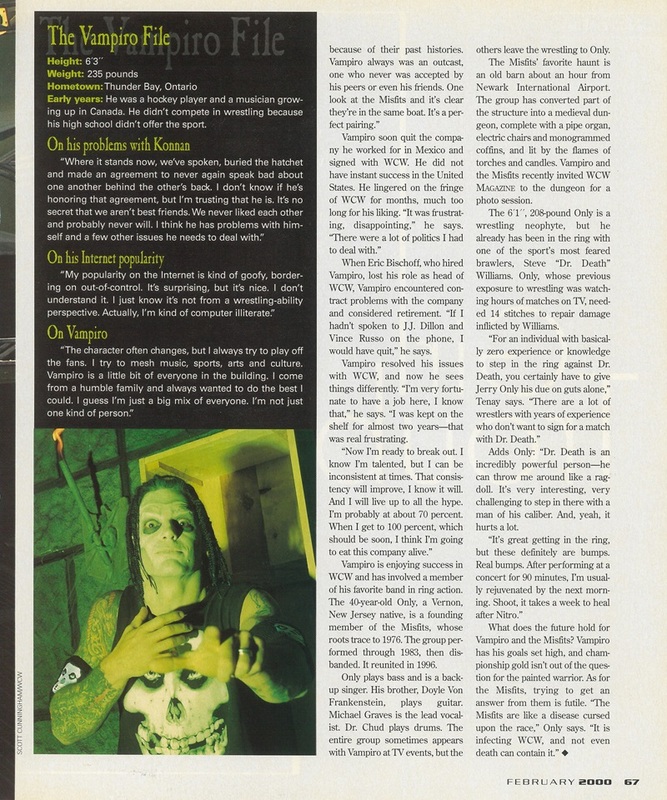 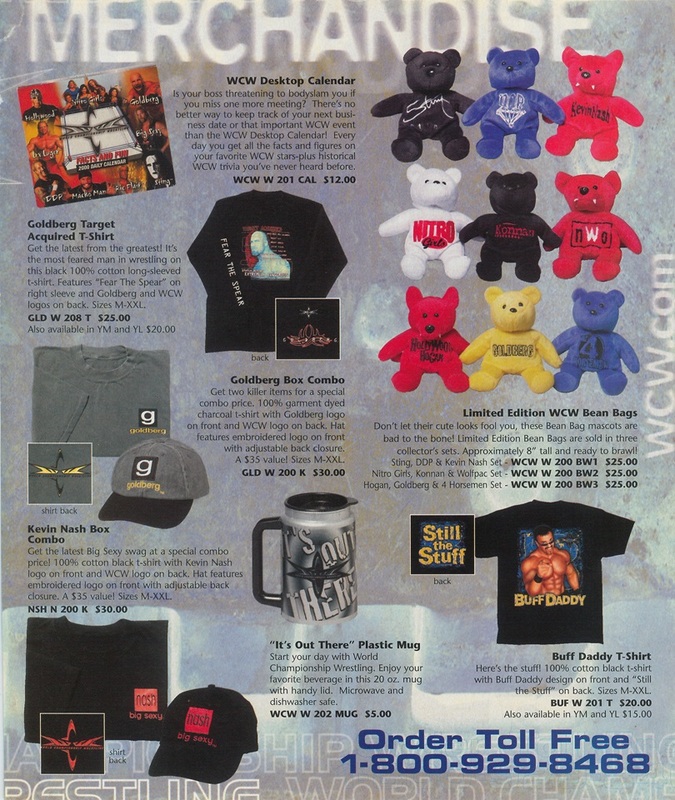 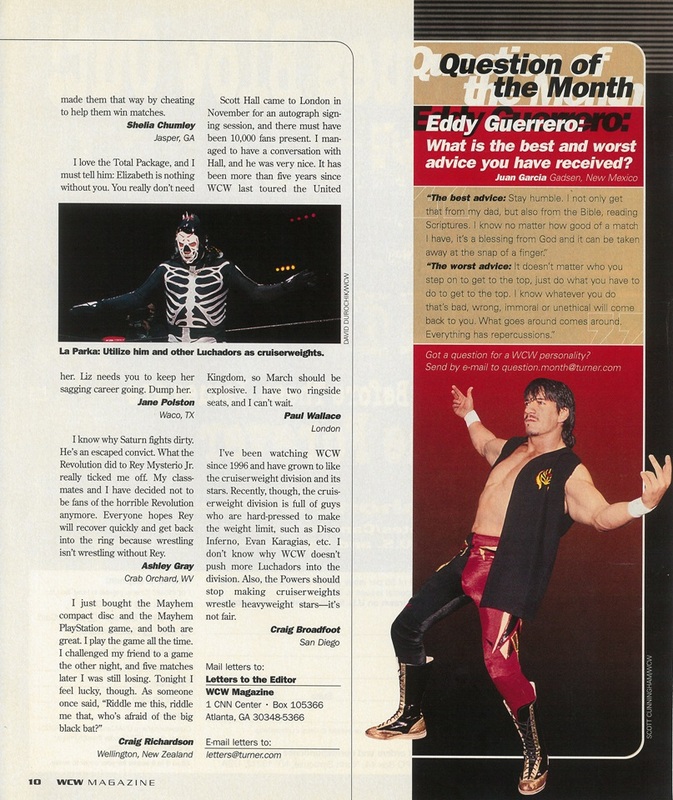 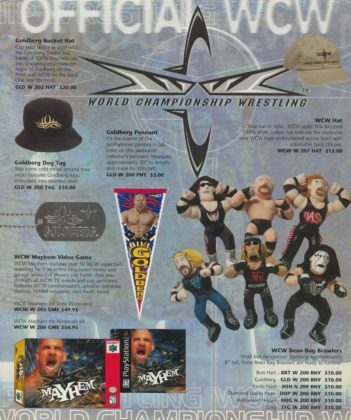 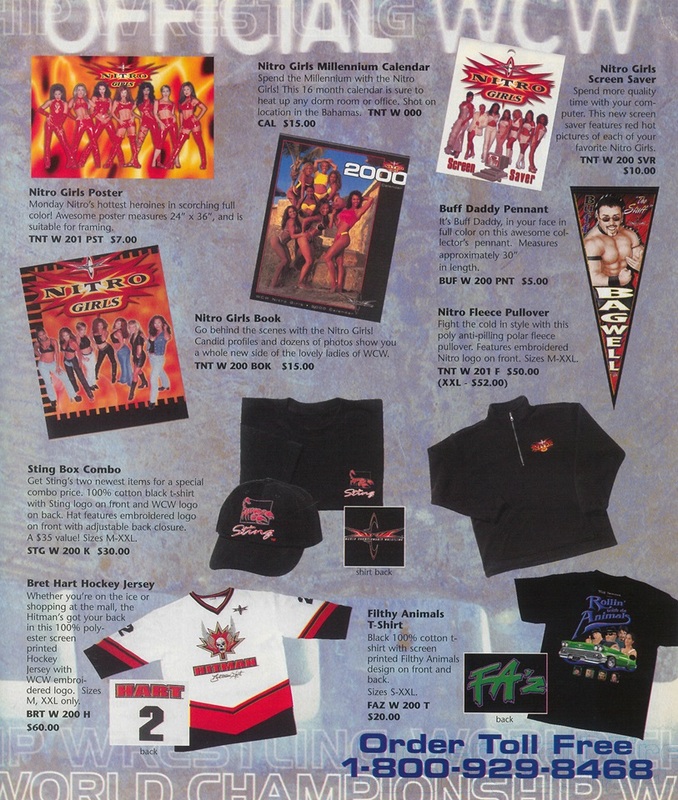 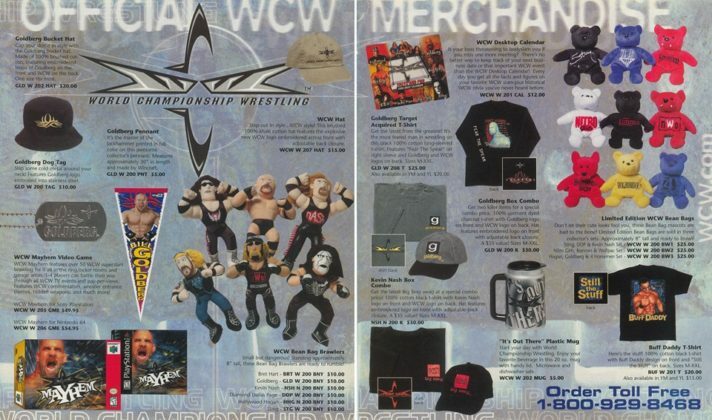 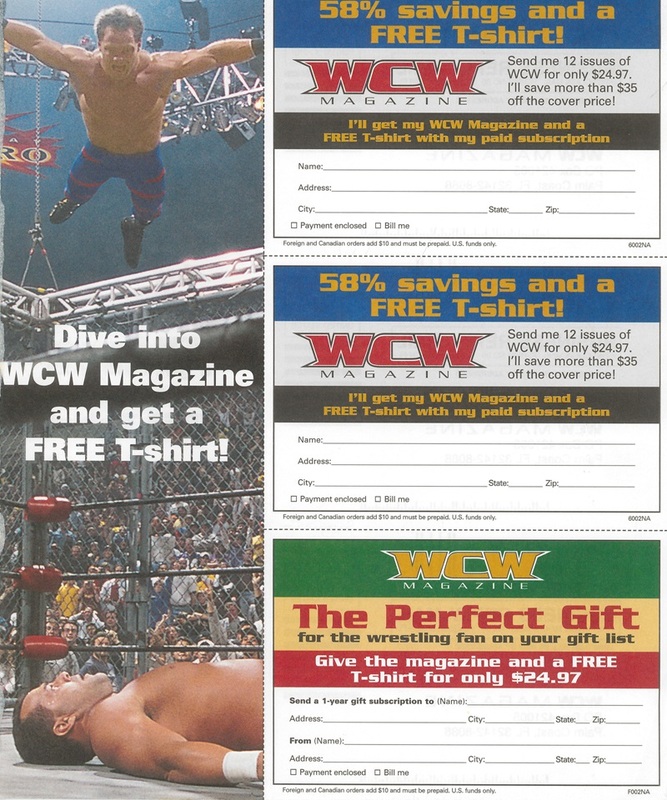 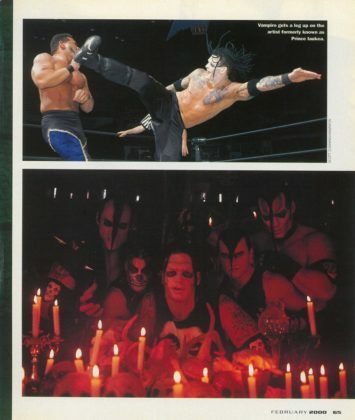 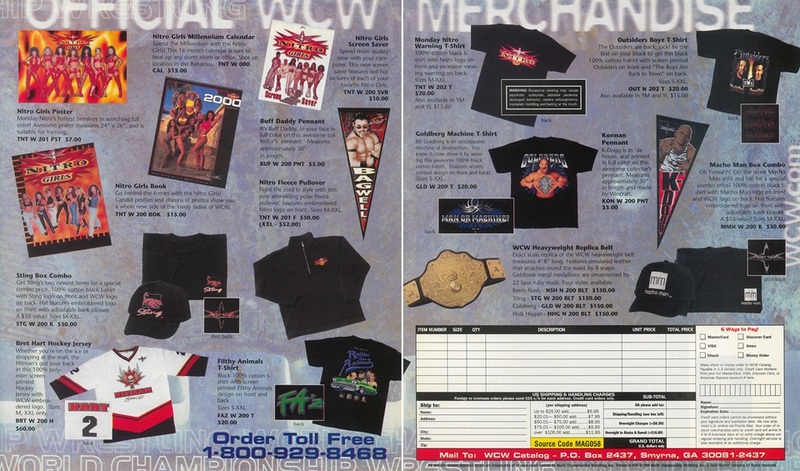 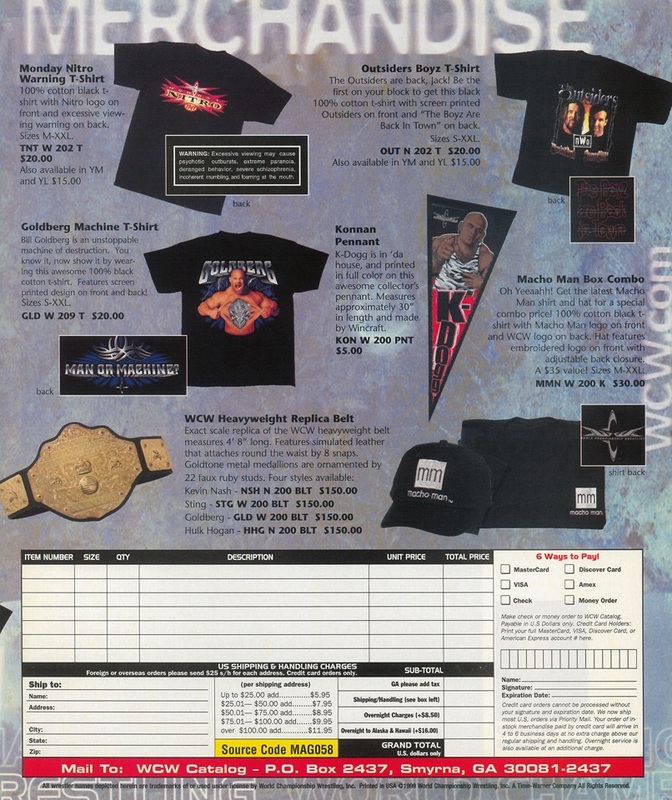 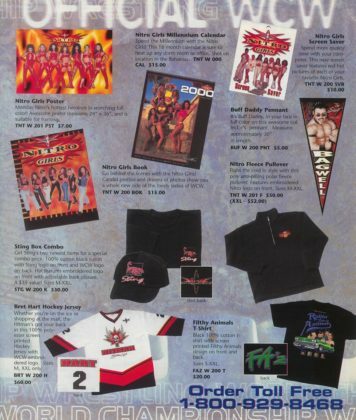 WCW Magazine has a "Ghouls Night Out" with Vampiro and The Misfits. Sid Vicious is the master and ruler of the world, and this issue has a great in-depth look at what makes the man with “half the brain that you do” tick. 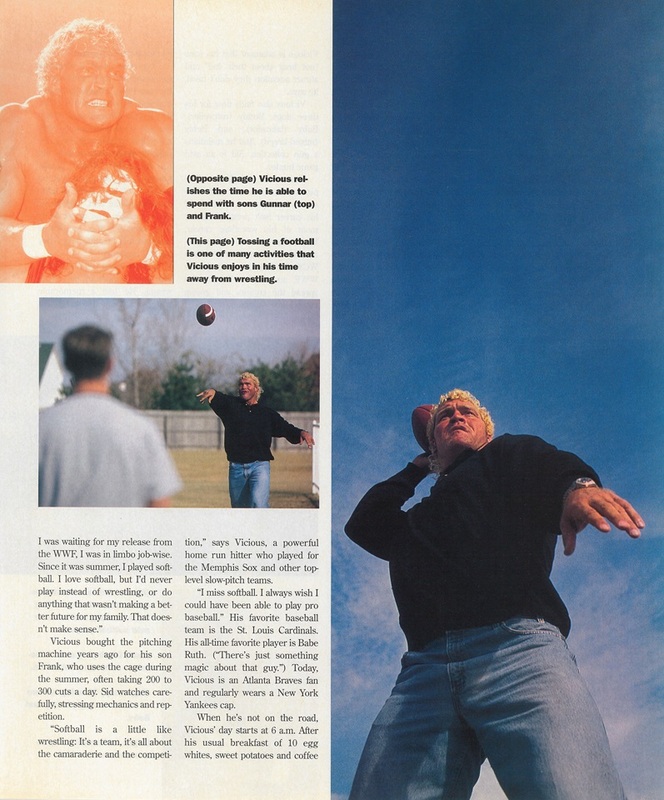 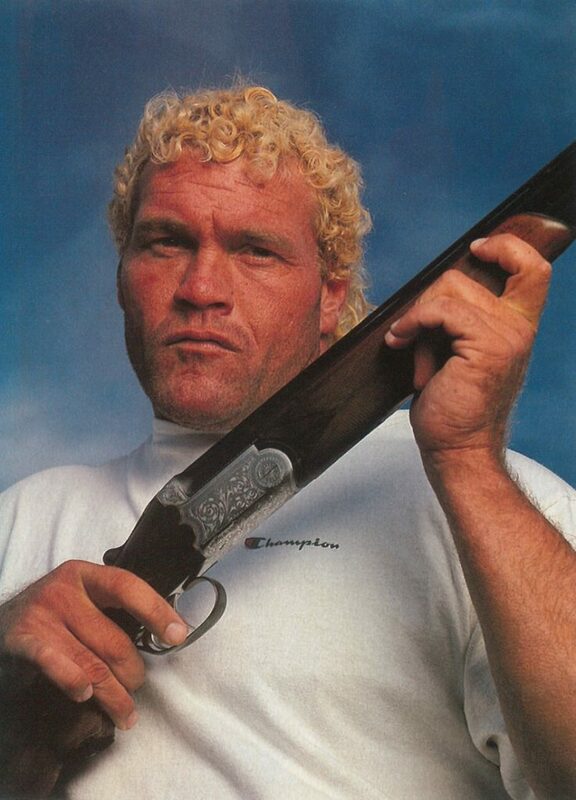 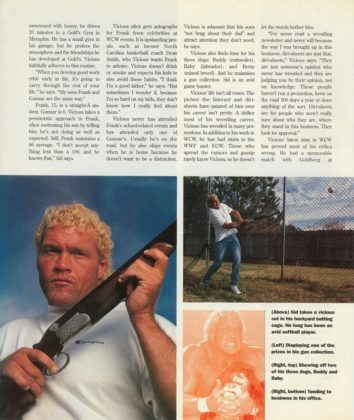 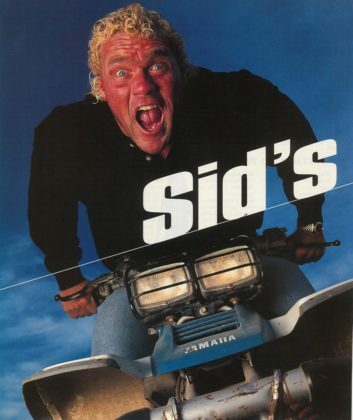 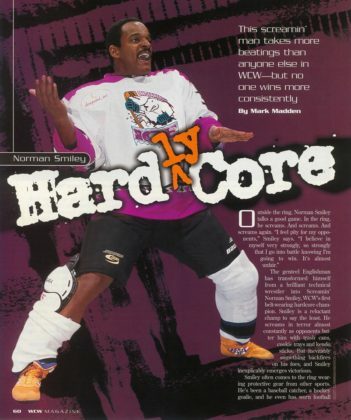 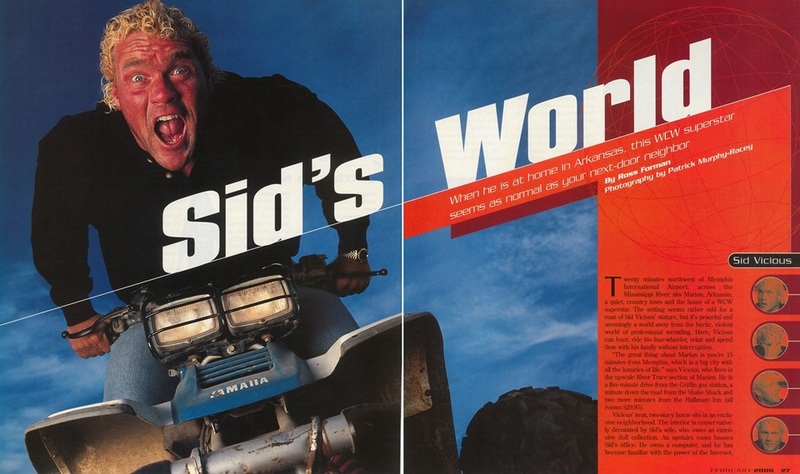 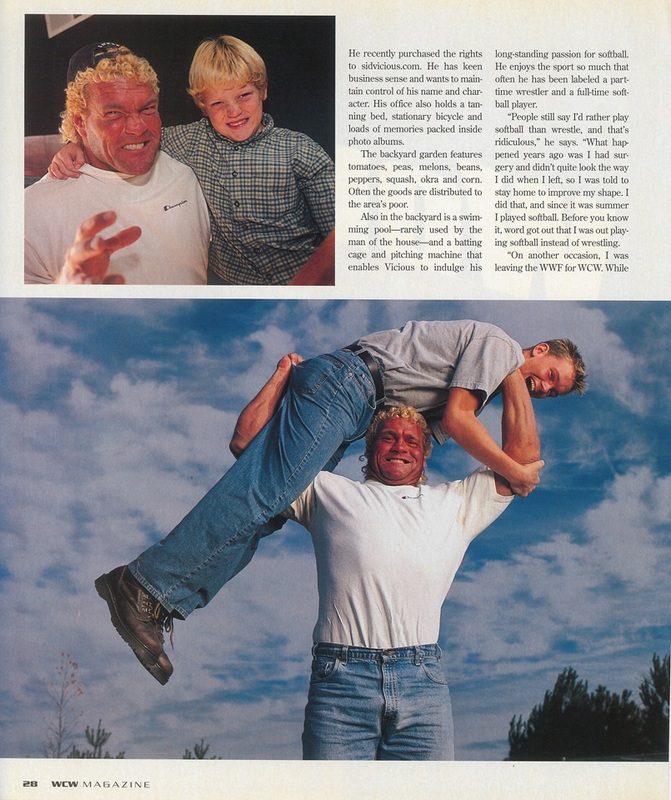 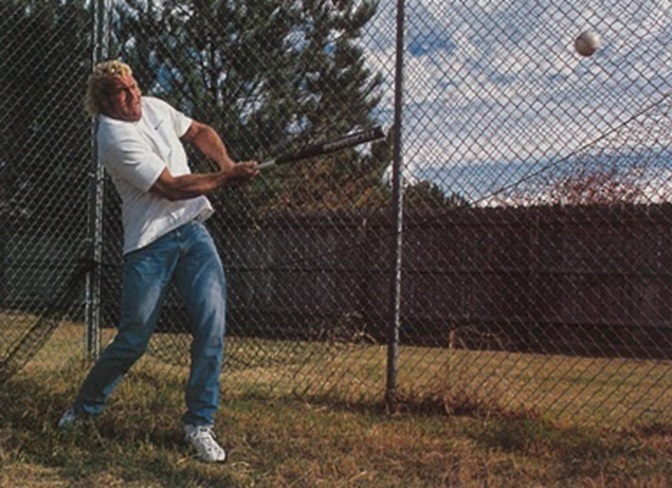 Not only do you have some terrific photos of Vicious lounging around his home with his kids, Sid goes into issues he had with the WWF and even address the jokes about how he’d rather be playing softball than wrestling. 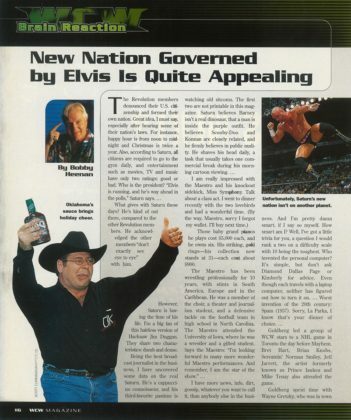 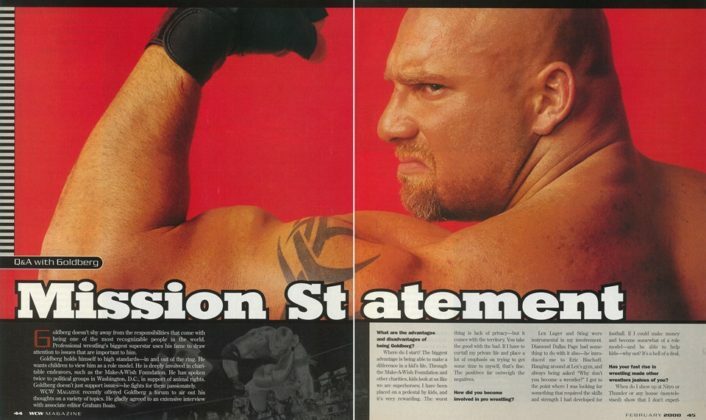 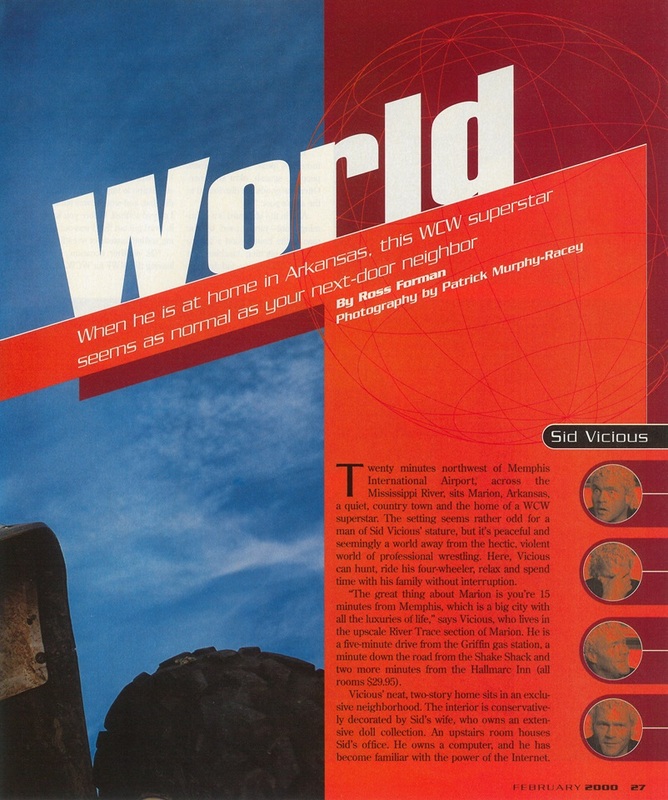 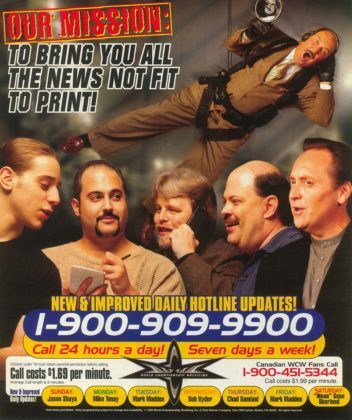 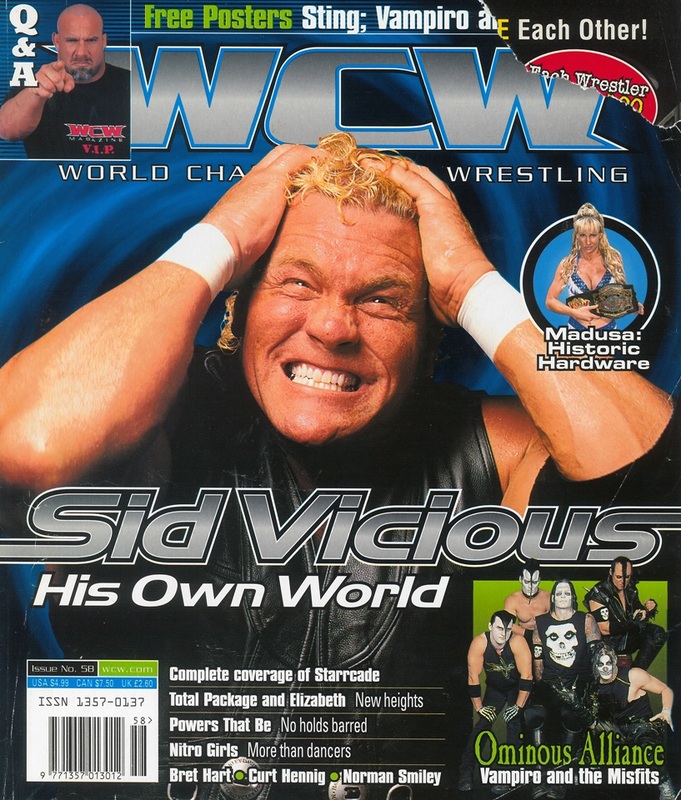 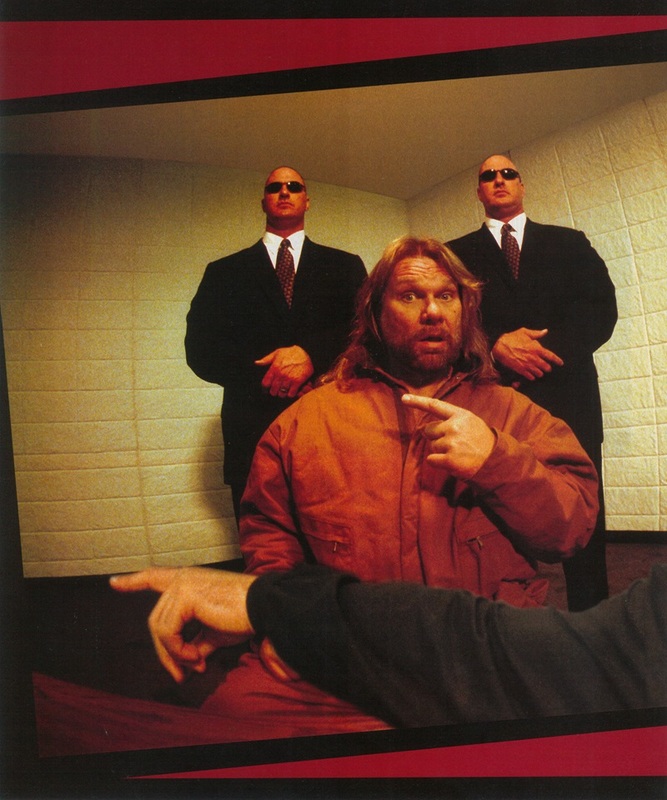 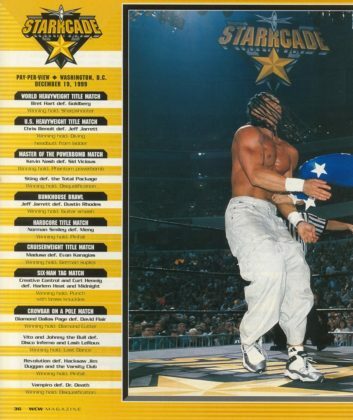 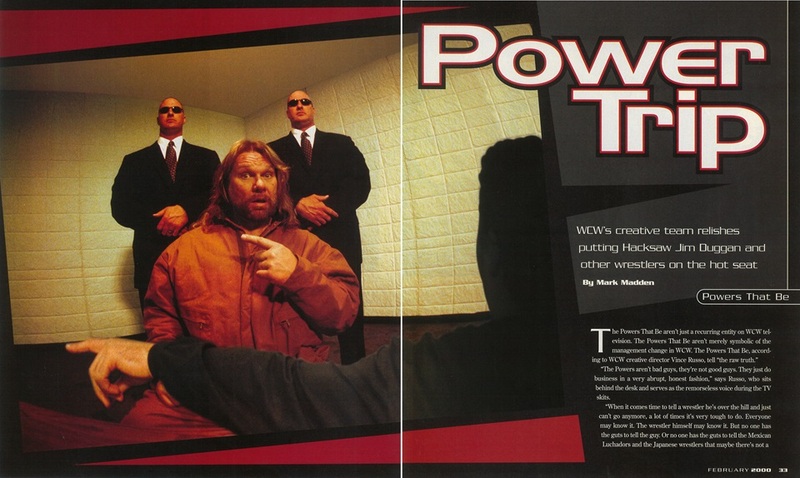 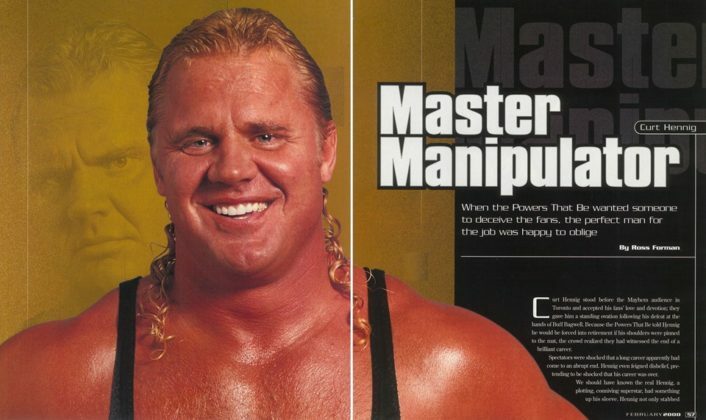 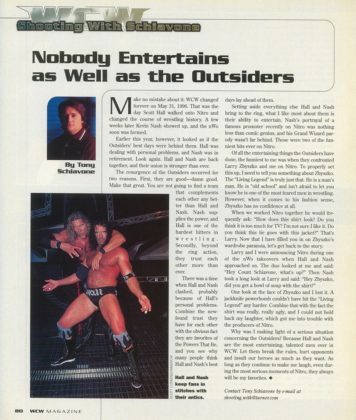 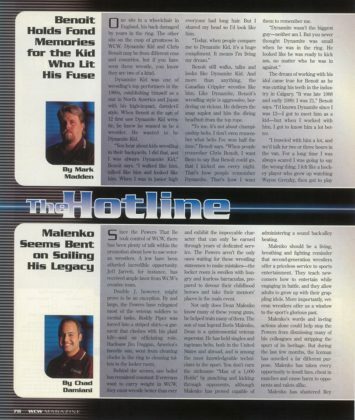 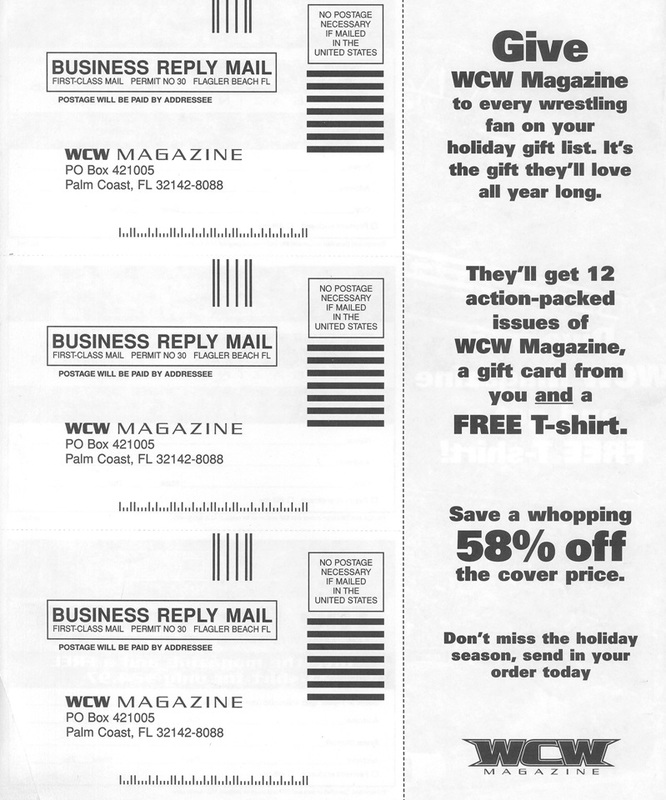 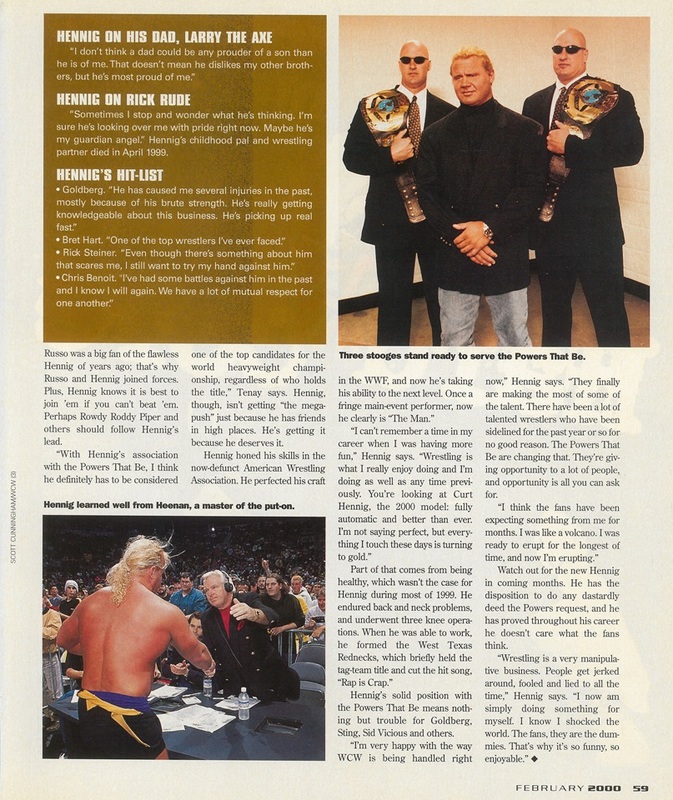 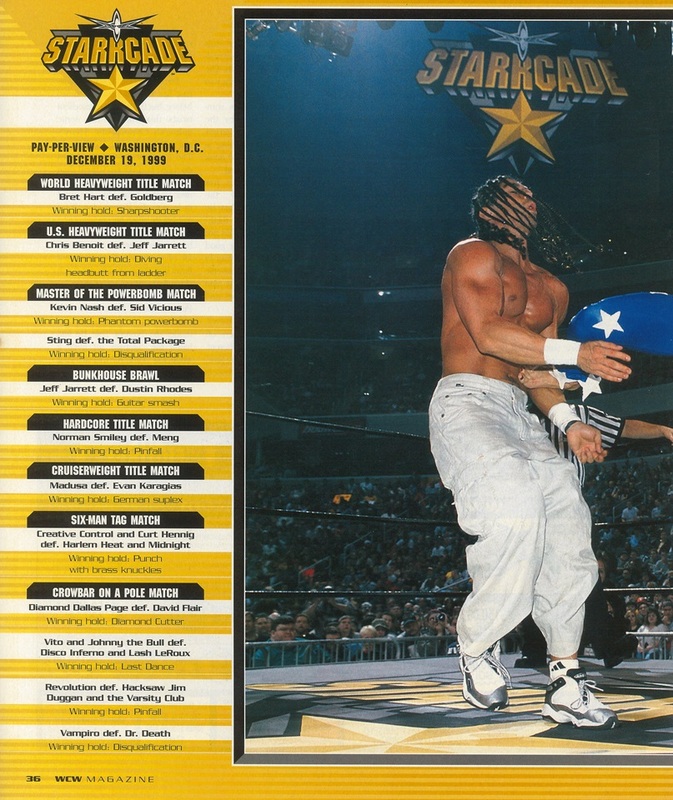 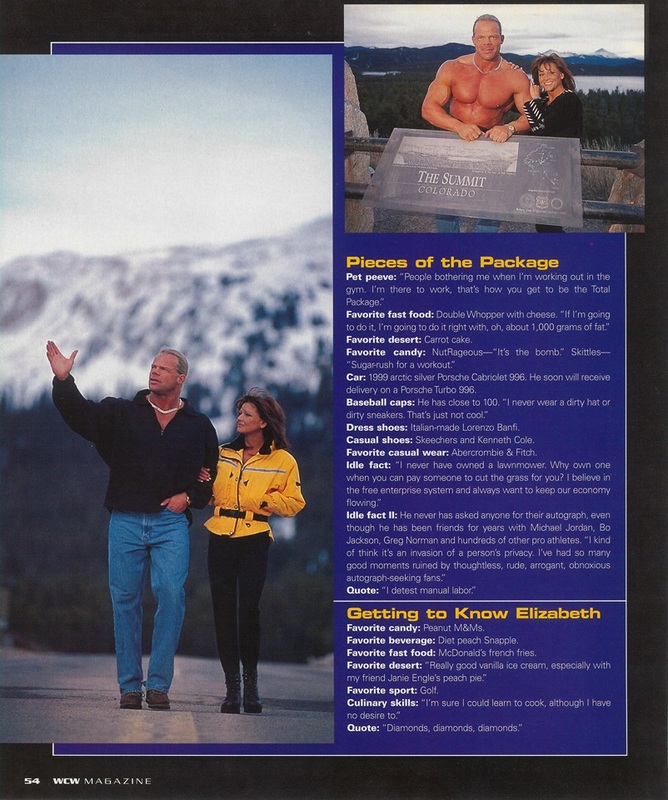 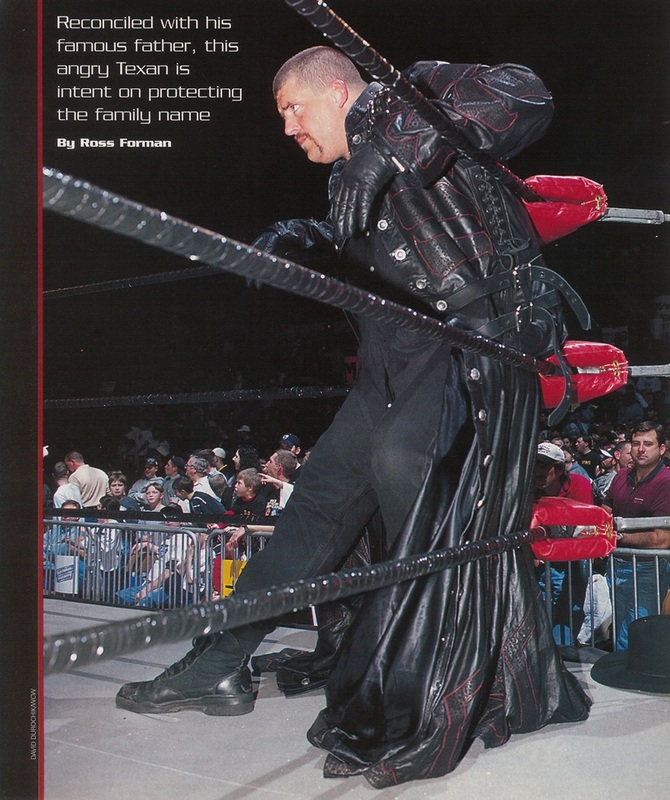 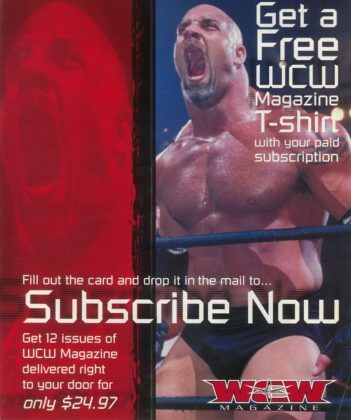 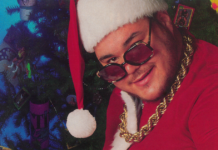 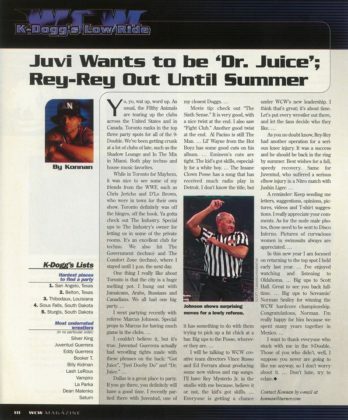 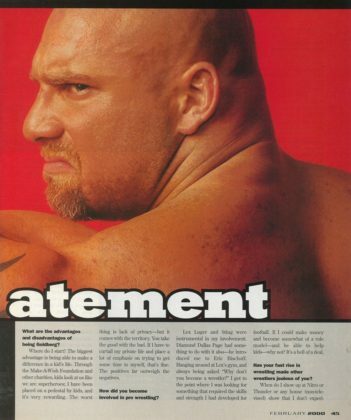 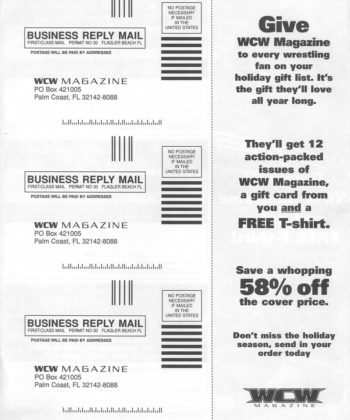 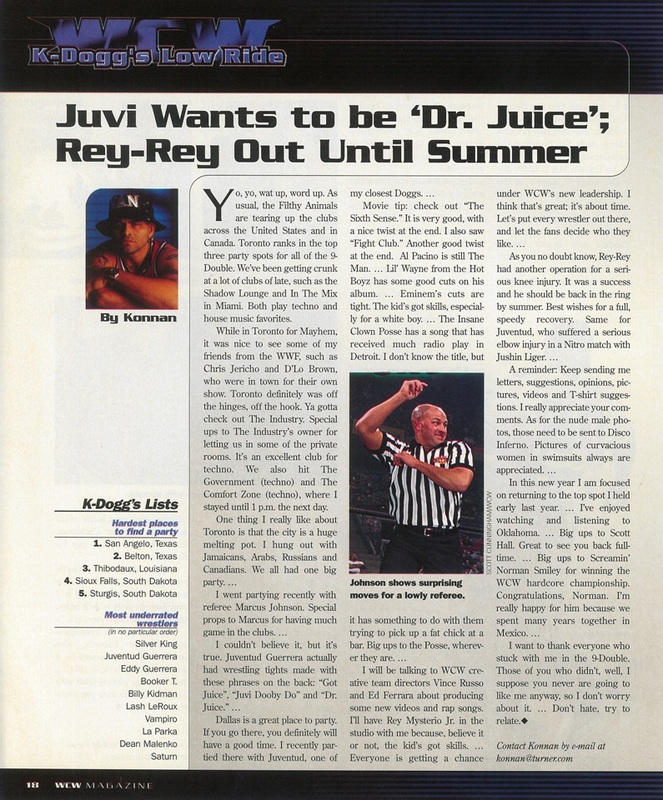 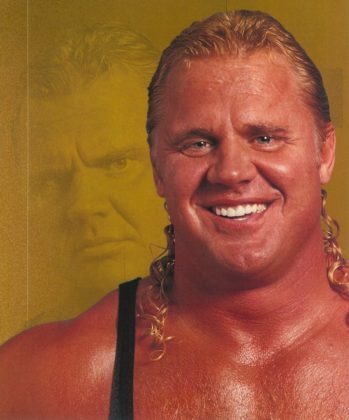 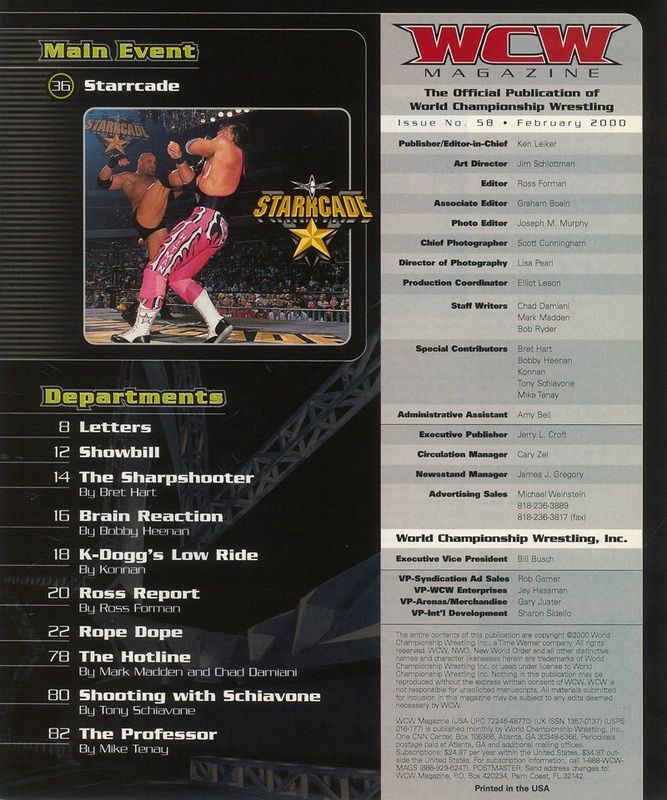 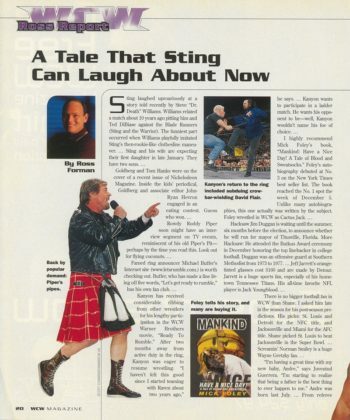 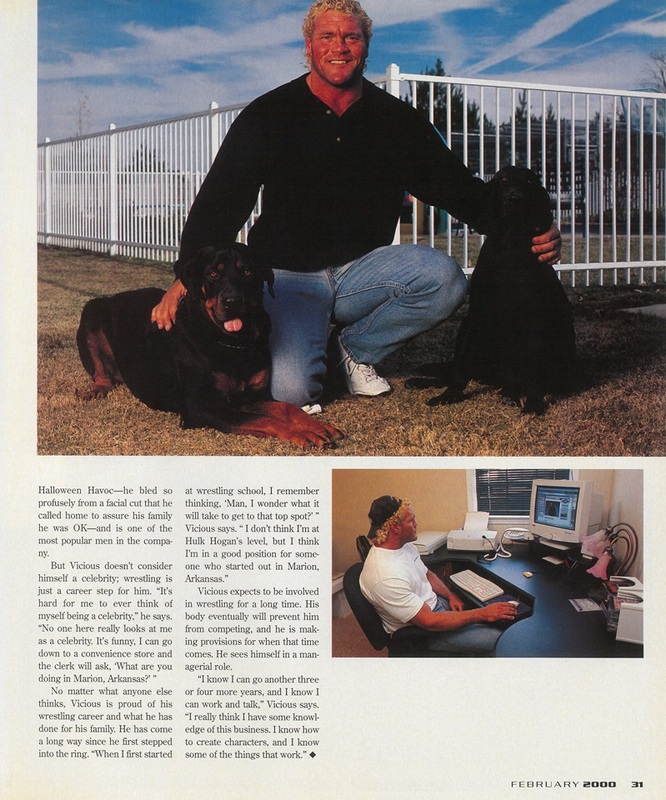 WCW Magazine doesn’t go far enough regarding the couple of times Vicious was fired from WCW, but at the very least, we get to read his feelings on those nasty “dirt-sheets”. 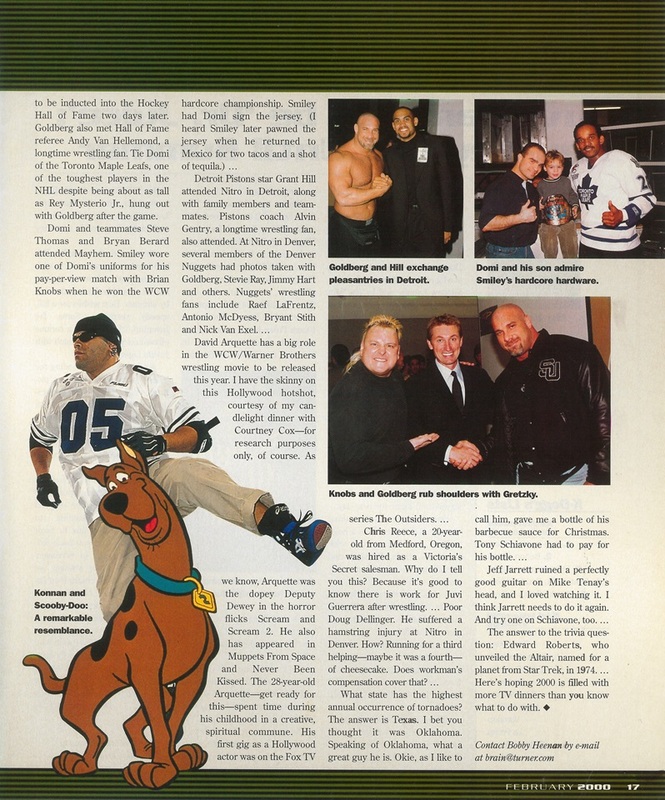 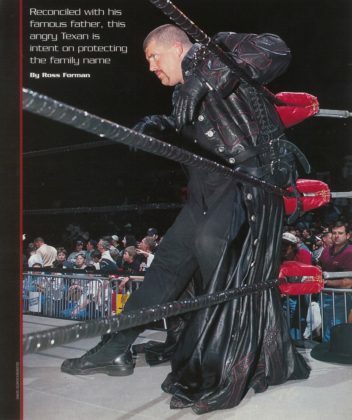 Another stand out feature in this issue is the article on Vampiro and The Misfits. 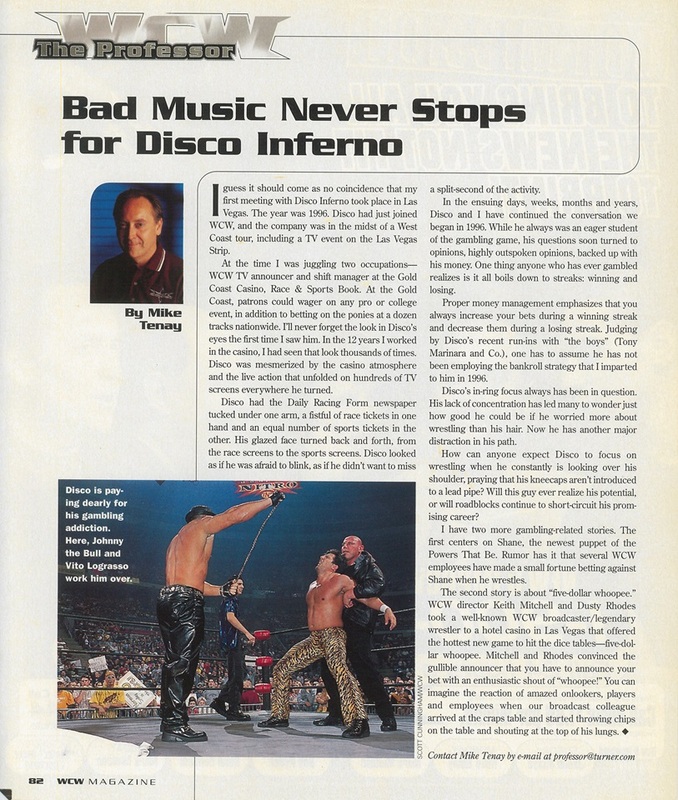 It touches a bit on Vampiro’s frustration with WCW when it was under the control of Eric Bischoff and a long real-life feud against Konnan but doesn’t really explain why this punk band suddenly became an on-air stable around him. 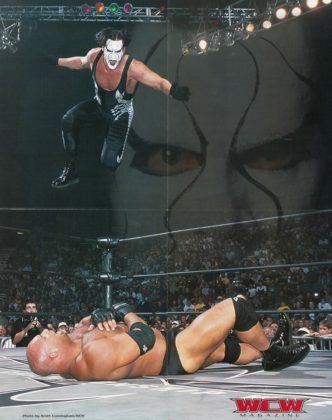 To hear Vampiro talk it about it nowadays, it seems like the connection was as simple as Vamp already previously having a friendship Jerry Only before WCW and just bringing them to a Nitro taping when The Misfits happened to be playing that night at a nearby club. 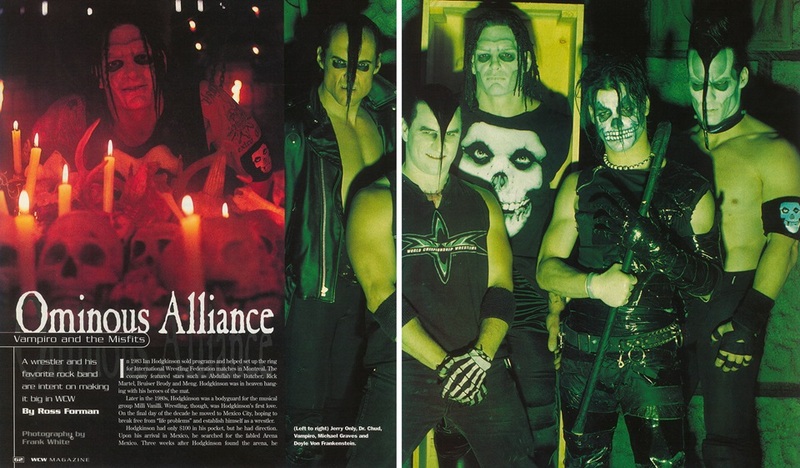 It was a cool thing to witness as the group’s image definitely helped with increasing Vampiro’s popularity and gave him what I view as his signature look for his WCW tenure (with the facepaint lifted directly from guitarist Doyle Wolfgang von Frankenstein). 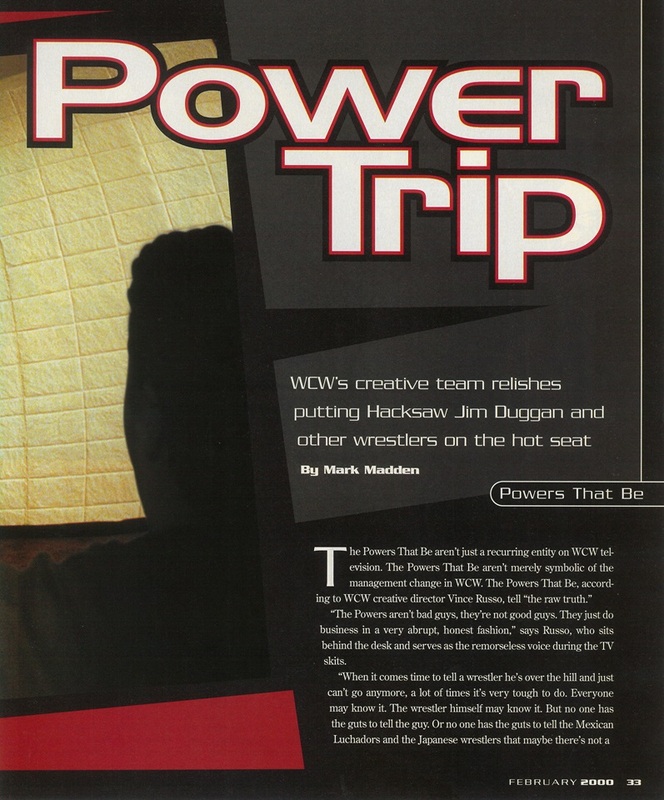 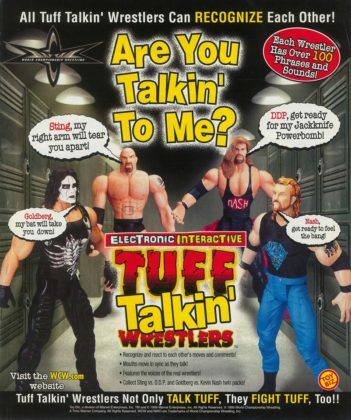 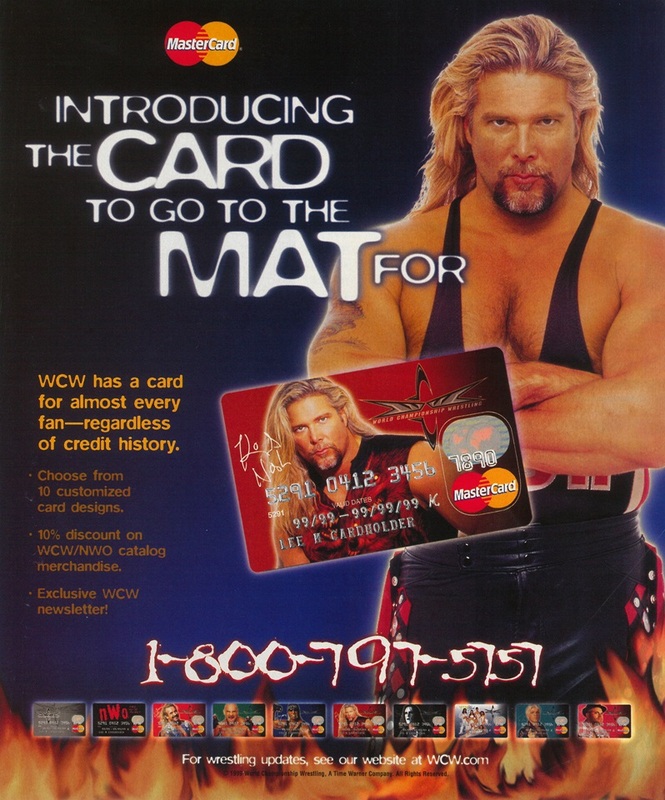 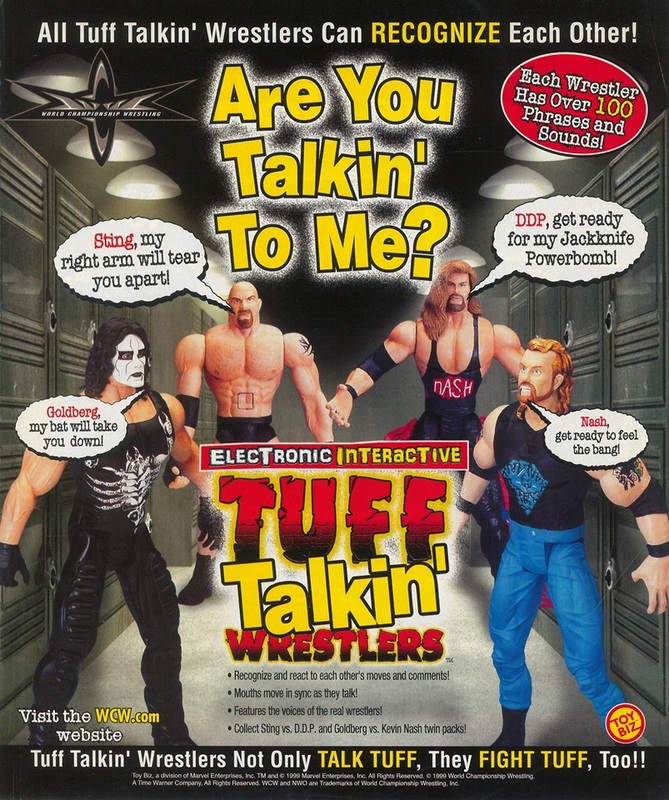 Sadly, I think the connection just fizzled out due to WCW being WCW. 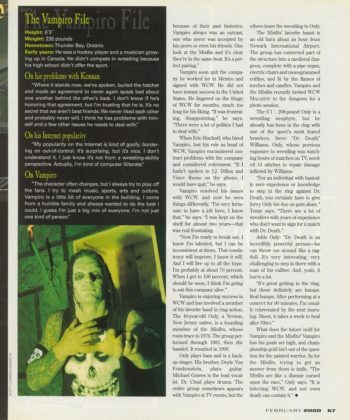 Jerry Only claims that issues came up regarding Turner wanting to “own” their likenesses and logos for merchandise, which the band had immediate issues with. 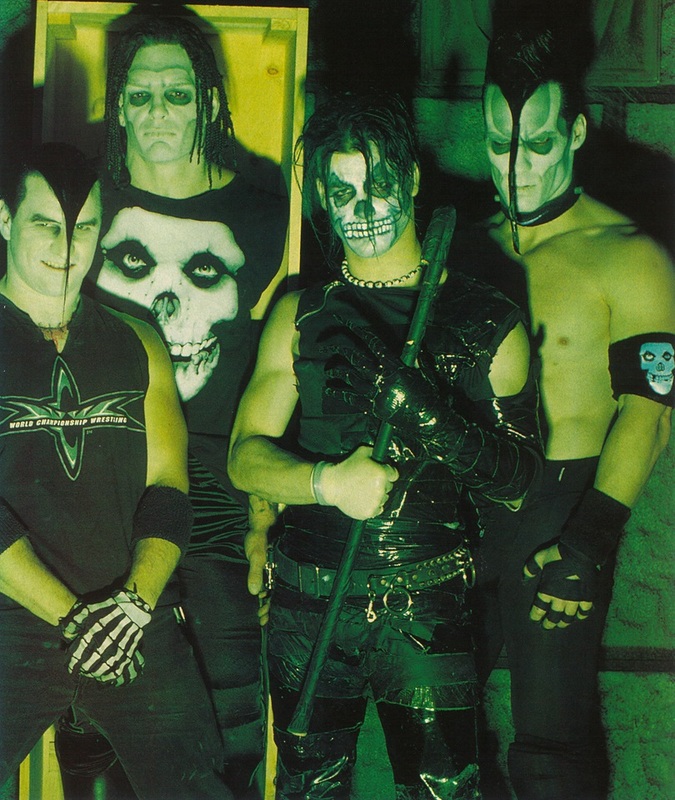 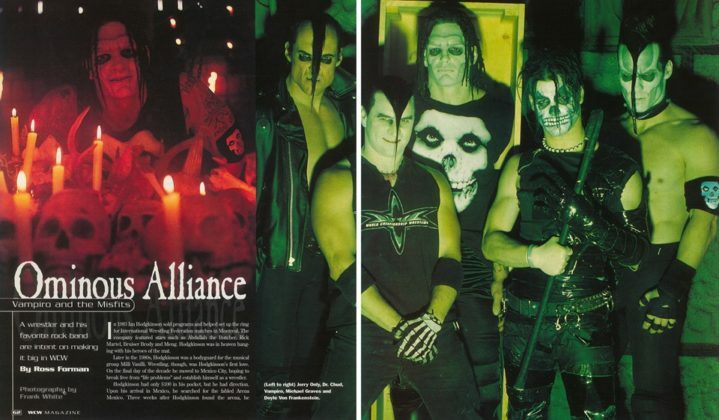 This story may have some credibility to it since an early Vampiro action figure prototype looked to be based on this photo session with The Misfits complete with the facepaint seen above and Fiend logo on his shirt. 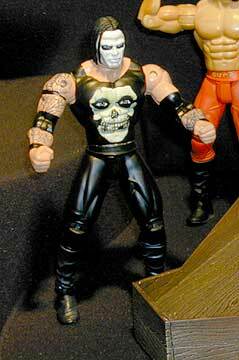 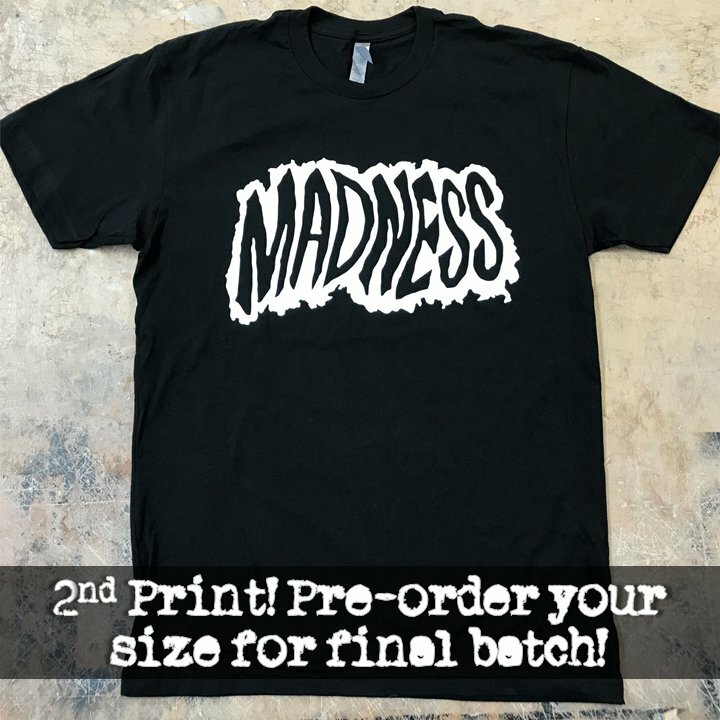 That would not be the case in the official release as Vampiro would be shipped free of any and all Misfits-related facepaint, logos and copyrights. 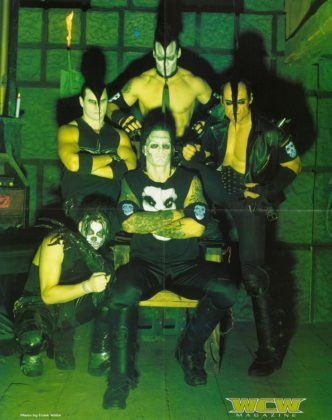 That said, the Michael Graves fronted incarnation of The Misfits had their internal issues brewing hinted with the abrupt cancellation of dates during the tour to promote their Famous Monsters release. 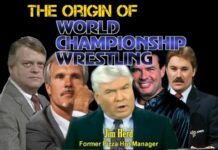 In the middle of their dealings with professional wrestling, the band was also coming apart at the seams and eventually Graves and drummer Dr. Chud quit the group later on that year live during a concert. 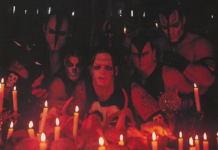 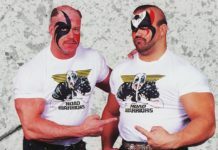 Vampiro and The Misfits were two great tastes that taste great together, but it just wasn’t destined to be a long-term deal. Weirdly enough, Doyle would somehow steal Gorgeous George away from the “Macho Man” Randy Savage, marry her and release an album under the band name Gorgeous Frankenstein in 2007 with the former WCW-star as the front-woman. 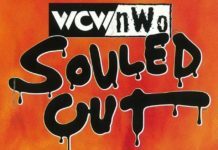 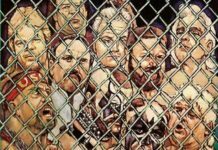 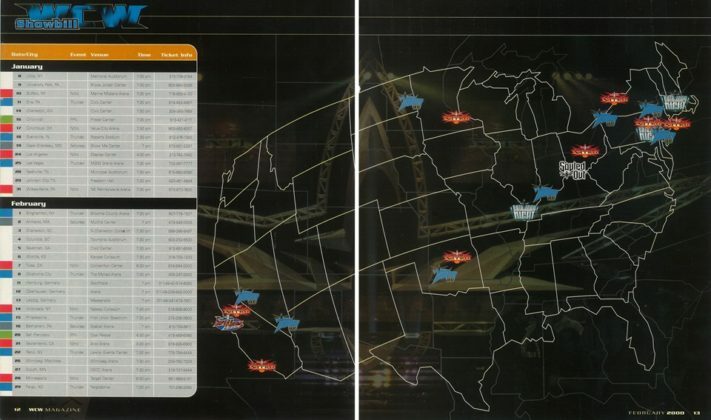 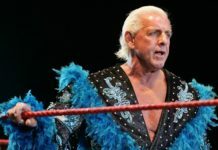 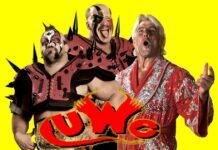 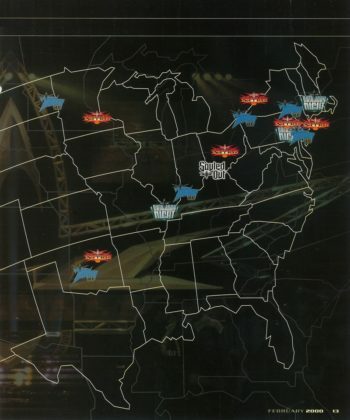 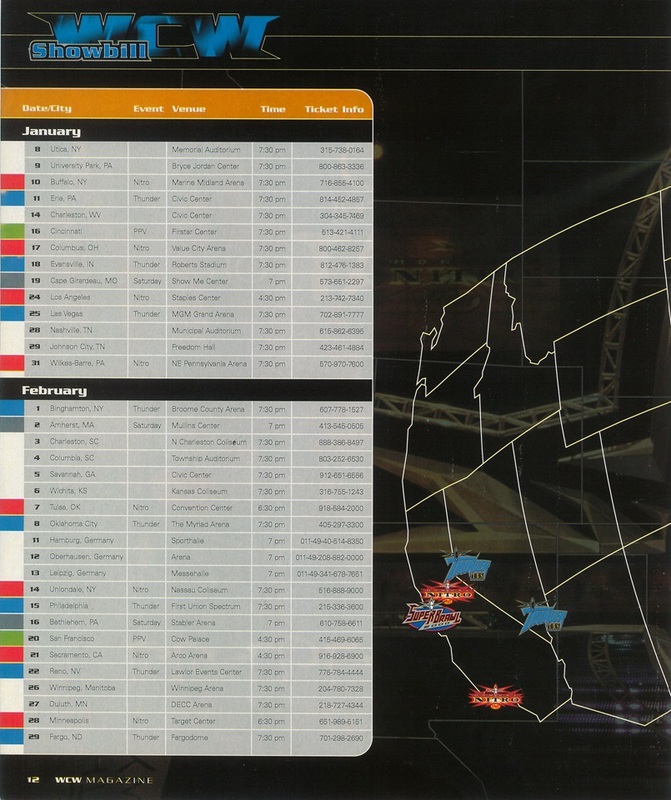 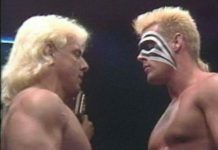 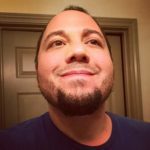 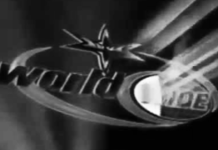 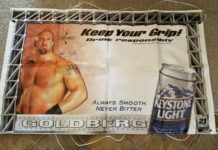 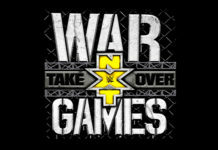 Next articleSite Update: Inside the WCW Worldwide Gimmick Box 2.0!! Let me know if you me to DM you a cleaner version of it from my direct scan.